In Honduras, arguably the most unequal country in Latin America, peasants are the victims of a glaring disparate land ownership structure. In 2009, when then-President Manuel Zelaya attempted to pass legislation that promised comprehensive land reform, he was ousted from power by a coup led by businessman Roberto Micheletti. Since the coup, peasants have suffered from increased repression, with death squads threatening and assassinating hundreds of campesinos while palm oil and hydroelectric companies accumulate land by dispossession. 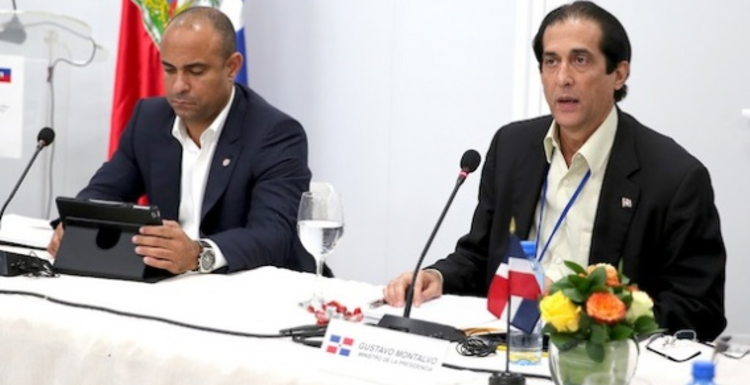 The return of the right-wing, pro-business National Party to power via the 2013 election of Juan Orlando Hernández to the presidency brought no tranquility to the Honduran peasantry. Tragically, there seems to be no end in sight for the repression of land and human rights in the Central American country. A very small elite has largely dominated Honduras’ economic and political spheres, as is the case in most Latin American countries. This trend began to change in the early 1960s, as then-President Ramón Villeda Morales (1957-1963) gave significant attention to the unequal pattern of land ownership and initiated a program to achieve democratic agrarian reform. In 1961, the National Agrarian Institute (INA) was created with the assigned task of preparing the Agrarian Reform project. The Agrarian Reform Law (Ley de Reforma Agraria) was passed in 1962. This inflamed the conservative groups, particularly those who represented large landowners like the National Federation of Agriculturists and Stockraisers of Honduras (FENAGH). In 1963, Oswaldo López Arellano seized power in a coup d’etat ten days before the elections in October of 1963. Major reasons for the coup were the ongoing agrarian reform, which had distributed 1500 hectares of land, other progressive reforms, and the likelihood of another leftist candidate winning the presidency in the elections. Shortly after López Arellano came to power, the Agrarian Reform Law was nullified. Although López allowed general elections in 1971 (in which Ramón Ernesto Cruz won the presidency), he seized power again in a coup in 1972. Then, in 1974, a more comprehensive land reform law was drafted, and in 1975 it went into effect. 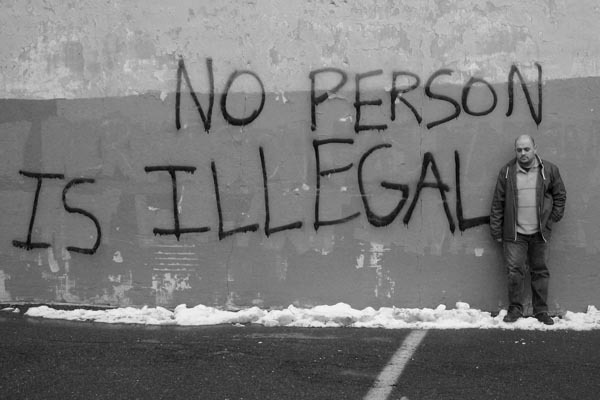 The new law (Decreto No. 170), meant to “transform the agrarian structure of the country, destined to substitute for latifundio and minifundio a system of ownership, tenancy, and exploitation of the land that will guarantee social justice in the field and will augment the production and productivity of the farming and livestock sector…”  Nevertheless, these reforms did not address the underlying problems of land inequality and they only benefited nine percent of the rural population. In 1975, the agrarian reform was again at a standstill and poor peasants continued to occupy land. The pendulum came back when President Zelaya was ousted from power in a coup in 2009. The long-awaited agrarian reform seemed finally a bit closer when in 2008 President Zelaya began pushing forward the distribution of land through Decree Law 18-2008. This law would have given land titles to peasants who had occupied and produced on their lands for more than 10 years. This advancement came to a halt when Zelaya was ousted from power. Miguel Facussé Barjum, one of the richest people in Honduras and the head of Dinant, was a strong supporter of the 2009 coup. Dinant Corporation is an important private entity in Honduras, as it is the largest palm oil producer in the country and owns one-fifth of all the agricultural land in Bajo Aguán. Dinant is involved in land disputes with peasant farmers, who have organized themselves to pressure the company to distribute the land they claim they own. In recent years, there has been an explosion of land-related violence in the area. Assassinations, kidnappings, and forced displacement of farmers have plagued Bajo Aguán. The Inter-American Commission on Human Rights revealed in its 2012 report that deaths, threats and acts of intimidation increased in the Bajo Aguán region since the 2009 coup. Many people have died in the country’s ongoing land struggle (92 people in the Bajo Aguán area alone since the coup)  and impunity for the perpetrators is only helping to further the violence. Human Rights Watch reported that, “Distrust is particularly acute among peasant organizations in Bajo Aguán, whose members routinely expressed to Human Rights Watch the belief that government officials were at best incompetent, and at worst directly collaborating with private landholding firms.”  Palm oil plantations and corrupt officials are blamed for the displacements and violence. In Honduras, corrupt officials and the military are colluding with private security guards (Honduras now has 5 private security guards per police officer) in the repression of peasants and community leaders. An investigation of the Canadian group Rights Action revealed that the Battalion 15 was directly implicated in 34 acts of violence and crime. In addition, Human Rights watch reported that government security forces have been involved in arbitrary detentions, tortures, and forced evictions. The promotion of justice should be a primordial goal to end the cycle of impunity that has plagued Honduras in the context of the land dispute. On the other hand, at the same time U.S. military presence and aid in Honduras increased, the violence perpetrated by state security forces to suppress protests against illegal land displacements, mining, dams and oil concessions also increased (especially since the 2009 coup). In 2011, for example, the U.S. authorized 1.3 billion USD for U.S. military electronics in Honduras. In 2012, the Defense Department contracts for Honduras reached 67.4 million USD, a three-fold increase from 10 years prior. Also, the U.S. still has a military base in Honduras, the Soto Cano Airbase, which is the center of the U.S. war on drugs in Honduras. This analysis has highlighted a few examples of what daily life is for many peasant and indigenous communities in Honduras. The intersection between profit-seeking multinational companies, the war on drugs, a broken judicial system, private security guards, and a repressive and corrupt military and police comes down to a doleful reality in which innocent people and communities reclaiming their lands are murdered, threatened, and displaced. Lakhani, Nina. “Dirty war over clean fuel: Farmers in Honduras terrorized by U.S.-backed security forces,” The Guardian, January 7, 2014. http://www.rawstory.com/rs/2014/01/07/dirty-war-over-clean-fuel-farmers-in-honduras-terrorized-by-u-s-backed-security-forces/ [Accessed on February 18, 2014]. Perry, John. 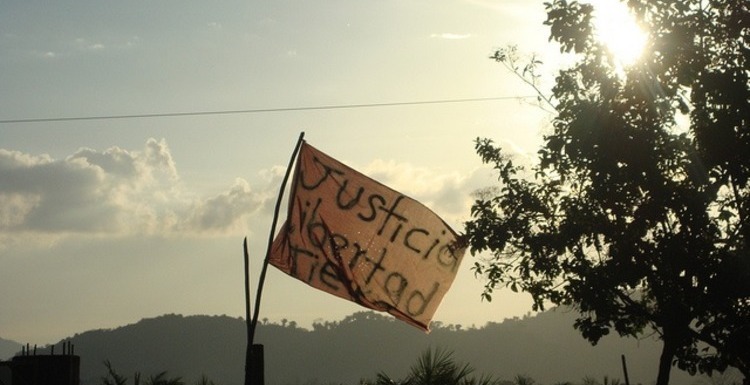 “Honduras – three years after the coup,” openDemocracy, June 27, 2012. http://www.opendemocracy.net/john-perry/honduras-three-years-after-coup [Accessed on February 18, 2014]. Merrill, Tim. Honduras: A Country Study. Washington: GPO for the Library of Congress, 1995. “Agrarian Activism, Agrarian Reform and Agrarian Law in Honduras,” Honduras Culture and Politics, March 6, 2010. http://hondurasculturepolitics.blogspot.com/2010/03/agrarian-activism-agrarian-reform-and.html [Accessed on February 26, 14]. Malkin, Elizabeth. “In Honduras, Land Struggles Highlight Post-Coup Polarization,” The New York Times, September 15, 2011. http://www.nytimes.com/2011/09/16/world/americas/honduras-land-conflicts-highlight-polarization.html?pagewanted=all&_r=0 [Accessed on February 19, 2014]. Wilkinson Tracy. “Honduras fails to investigate land battle killings, report says,” Los Angeles Times, February 12, 2014. http://www.latimes.com/world/worldnow/la-fg-wn-honduras-land-battle-killings-20140212,0,6328230.story#ixzz2tmgTV7Ll [Accessed on February 19, 2014]. Holt-Gimenez, Eric and Tanya Kerssen. “Honduras: War on the peasants,” Third World Resurgence No. 269/270, Jan/Feb 2013. http://www.twnside.org.sg/title2/resurgence/2013/269-270/world1.htm [Accessed on February 20, 2014]. “World Bank funding a company implicated in human rights abuses in Honduras,” OXFAM, January 10, 2014. http://www.oxfam.org/en/pressroom/pressrelease/2014-01-10/world-bank-funding-company-implicated-human-rights-abuses-honduras [Accessed on February 19, 14]. “Honduras: No Justice for Wave of Killings Over Land,” Human Rights Watch, February 12, 2014 http://www.hrw.org/news/2014/02/12/honduras-no-justice-wave-killings-over-land [Accessed on February 20, 2014]. U.S. Relations with Hondura. U.S. Department of State. http://www.state.gov/r/pa/ei/bgn/1922.htm [Accessed on February 21, 2014]. Frank, Dana. The Latin America Mistake: Memo to Secretary Kerry: Stop funding the bad guys in Honduras,” Los Angeles Times, February 12, 2013. http://articles.latimes.com/2013/feb/12/opinion/la-oe-frank-honduras-drug-war-20130212 [Accessed on February 24, 2014]. “Honduras: Investigate Killings of Four Civilians,” Human Rights Watch, May 17, 2012. http://www.hrw.org/news/2012/05/17/honduras-investigate-killing-four-civilians [Accessed on February 24, 2014]. “Dam Problems: Social Impacts,” World Wildlife Fund http://wwf.panda.org/what_we_do/footprint/water/dams_initiative/problems/social/ [Accessed on February 25, 14]. Lakhani. 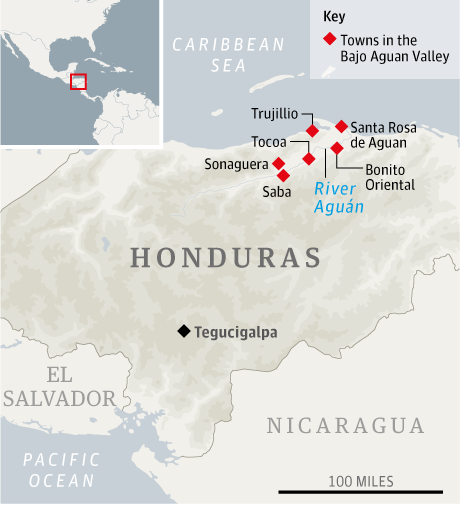 “Honduras dam project shadowed by violence,” Aljazeera, December 24, 2013 http://www.aljazeera.com/indepth/features/2013/12/honduras-dam-project-shadowed-violence-201312211490337166.html [Accessed on February 25, 14]. Sefan, Andrew. “Rio Blanco, Honduras: a Frontline of Indigenous Resistance,” Earth First! Journal, November 3, 2013. http://earthfirstjournal.org/newswire/2013/11/03/rio-blanco-honduras-a-frontline-of-indigenous-resistance/ [Accessed on February 25, 14].